EY, a global advisory business services firm, has concluded that all-male corporate boards are old-school – not at all suited to today’s economy, not to mention modern mores. The report points out that leading boards are beginning to recognize the value of a diverse board, one with a balanced representation that includes both men and women – and also varying points of view. The number of women on corporate boards is growing, but not fast enough, says EY. At the current rate, EY figures it would take another 30 years for women to catch up. How the workforce is treated is another key point of interest. “Talent strategies and the ability to transform an organization’s workforce play a critical role in positioning companies to successfully navigate market and technology changes,” the report notes. 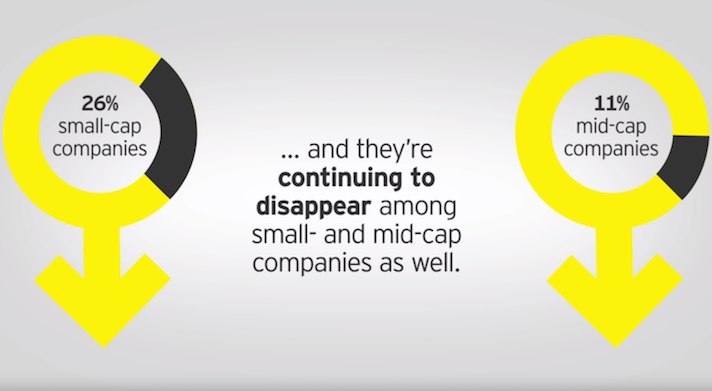 Investors too are increasingly focused on the people agenda, EY reports. More than a quarter of the 55 institutional investors EY talked to in late 2016 cited workforce management as an engagement priority heading into 2017. Boards are likely to get questions from investors in this area, EY notes. Also, EY noted that in an economy of abundance, growth strategies are increasingly important, and long-term investors will likely be looking for future growth prospects and high ROI.